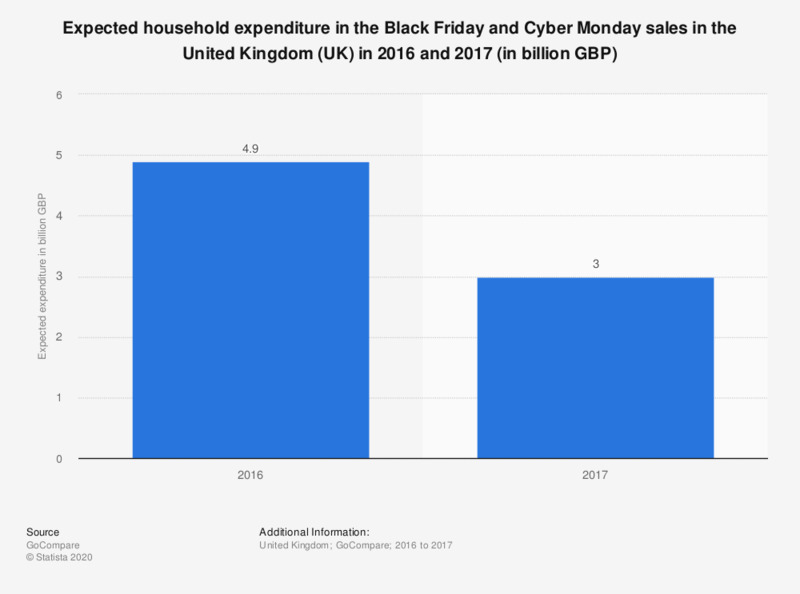 This statistic shows the total expected household expenditure in the Black Friday and Cyber Monday sales in the United Kingdom (UK) in 2016 and 2017. Households in the UK are expected to spend a total of 3 billion British pounds in the Black Friday sales period in 2017, significantly less than in 2016 when the estimated total expenditure was 4.9 billion. The figure for 2016 is taken from a previous publication by the source.